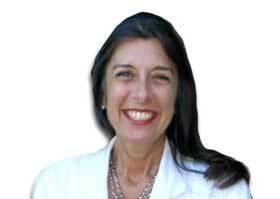 Dr. Soteria Karahalios was born in Athens, Greece and was raised on the Monterey Peninsula. She received a B.A. from UC Berkeley in Physiology and did post-graduate work in Endocrinology at UC San Francisco Graduate Physiology Department. She completed her M.D. degree from the University of California, San Francisco School of Medicine in 1976 and then did her residency in internal medicine with the UCLA-Wadsworth VA program. She completed her Cardiology Fellowship training in 1982 with UCLA-Wadsworth VA and did additionally a Gerontology Fellowship with UCLA focused in cardiovascular disease and aging. She practiced clinical Cardiology, invasive and non-invasive, after 1982 in Southern California and at St. John’s Hospital in Santa Monica, where she was the Director of Cardiac Rehabilitation from 1988 – 1990. She returned to the Monterey Peninsula to practice cardiology in 1990 and affiliated with Community Hospital of the Monterey Peninsula. Dr. Karahalios has been the Medical Director of Non-invasive Cardiology at Community Hospital of the Monterey Peninsula since 2003 and Tyler Heart Institute, overseeing cardiac diagnostics and imaging and involved in the hospital’s Cardiac Wellness and educational programs. She began the Women’s Heart Program in 2005 and the Cardiac Risk Assessment clinic in 2008, as well as a Smoking Cessation Program in 2009. Her specialized training and interest has been in all modalities of cardiac imaging with board certifications in Internal Medicine, Nuclear Cardiology, and Level II certification in Cardiac CT imaging. Dr. Karahalios’ interest and focus is in cardiovascular risk assessment and reduction, specifically with use of imaging in early disease detection and early intervention and preventive strategies. She has lectured in Cardiac Imaging, Cardiac CT, Cardiac Risk Assessment, Preventive Cardiology, and Women and Heart Disease. She is a Fellow of the American College of Cardiology, Council of Clinical Cardiology, Council of Epidemiology and Prevention Imaging Section, and member of the ACC Women in Cardiology Section. She is a professional member of the American Society of Echocardiography, Society of Cardiovascular CT, and the National Lipid Association. Dr. Terrance Moran is a practicing cardiologist in Monterey County with a special interest in cardiovascular risk reduction; specifically, management of lipid abnormalities. After graduating U.C.L.A. Medical School, Dr. Moran did his residency at St. Mary’s Hospital in Long Beach, California. He went on to serve for three years as the Director of the Coronary Care Unit and Cardiac Wellness Program at Harbor General – U.C.L.A. with the title of Assistant Professor of Medicine. 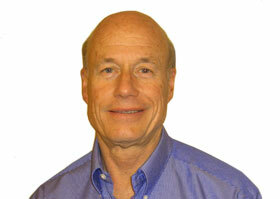 Dr. Moran then entered private practice on the Monterey Peninsula in 1982. In 1988, he became a co-director of the Cardiac Wellness Program at Community Hospital of the Monterey Peninsula. Due to a growing interest in lipids, he established the Advanced Lipid Management Program at that same hospital in 1997. With his involvement in the clinic, he has written a workbook on a step-wise approach to lipid management. In July of 2005, Dr. Moran left private practice to work full-time as Director of Cardiac Wellness and the Advanced Lipid Management Program at Community Hospital. In the lipid program, he has evaluated and clinically managed, one on one, innumerable individuals for primary prevention for the asymptomatic well and for secondary prevention for those that have established heart disease. He has lectured extensively in cholesterol and lipid management to the public, general physicians, and cardiologists. Dr. Moran is a Fellow of the American College of Cardiology, a Fellow of the Council of Clinical Cardiology, and Associate Clinical Professor of Family Medicine at the University of California, San Francisco. He is Board Certified in Internal Medicine, Cardiology and Clinical Lipidology and a Fellow of the National Lipid Association. He is also trained and Level II certified in Cardiac CT imaging. Dr. Superko’s research and clinical focus is on the metabolic and inherited aspects of coronary heart disease. He received his undergraduate degree from the University of California, San Diego, his medical degree from the State University of New York-Stony Brook, and completed his internship, residency, and fellowship at the University of California, Davis. Over the past 35+ years he has completed multiple NIH trials including heart disease regression, coffee and lipoprotein metabolism, exercise and weight loss with a focus on lipoprotein subclass distribution, firefighter heart disease, and genetics. He served as Director of the Stanford University Lipid Research Clinic and Laboratory, the Director of the Cholesterol Research Center at the University of California-Berkeley, the Director of the American Heart Association Lipid Disorders Training Center, and Director of the Center for Human Genomics at the Saint Joseph’s Hospital/Mercer University in Atlanta, Georgia. His most recent investigation was the National Firefighter Heart Disease Prevention study and he was the Chief Medical Officer of Celera corp. (a gene discovery company) prior to moving to Carmel. His medical interests include advanced aspects of heart disease etiology, genetics, and heart disease with respect to families and inherited heart disease risk, and heart disease regression. Additionally, he has advanced expertise in lipoprotein (cholesterol) metabolism, fish oil and heart disease, and a special interest in firefighters and occupational associated heart disease. For more information about his non-profit organization, please click here. He has published 129 first authored manuscripts, authored 19 textbook chapters, and 127 invited presentations at National and International scientific meetings. He has published a book for the public entitled “Befire the Heart Attacks” that explains advanced aspects of causes of heart disease that go beyond cholesterol. His publication, ‘Beyond LDL-C’ in Circulation 1996 alerted the community to the concept of residual risk following LDLC reduction and the need to think beyond LDL cholesterol. 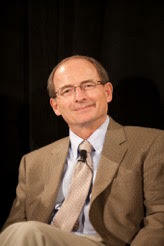 Click here for more extensive list of Dr. Superko's publications, research, and presentations. Dr. Lola Steinbaum has joined PRIMA HEART in 2016 as a preventive internist. She did her undergraduate work in chemistry at the University of Michigan, Ann Arbor, and completed her medical degree at Harvard Medical School in 1971. She did her medical internship at Massachusetts General Hospital and residency in internal medicine at Stanford University Hospital. In her early medical career, she did medical work in underdeveloped countries and in Paris, France in ICU Medicine, as well as in Emergency Room Medicine. She has been in private practice since 1978 and with Community Hospital of the Monterey Peninsula, serving as Chief of Medicine, Director of Quality Assurance, and as Chief of Staff. She is Board Certified in Internal Medicine and a member of the American College of Physicians, American Society of Internal Medicine, and American Society of Bariatric Physicians. Her clinical experience is broad, and her current interest s and focus in private practice are in preventive medicine, management of metabolic problems, weight management, hormonal management, use of bio-identical hormones, and anti aging. Brenda Garrett-Superko is a Cardiovascular Nurse with 30 years experience in both hospital and outpatient settings with special focus on primary and secondary prevent of heart disease. She has held several professional committee positions including Co-Chair of American College of Cardiology Cardiac Care Associates, First RN position on the ACC Board of Governors, and Co-Chair of Georgia AHA Keeping Women Healthy Planning Committee. She has been an invited guest speaker at ACC Scientific Sessions, California and Georgia Chapter ACC conferences, Kennesaw State College Nursing School, and the Hospital Administrator Conference. She has also served as a FEMA Firefighter and Heart Prevention Research Clinical Coordinator. From 2007-2009, she served as the Clinical Coordinator and Committee member of Business Development for The Center for Genomics and Human Health, Saint Joseph's Hospital, Atlanta Georgia. From 2010 to the present, she has been the Education Coordinator for Cholesterol, Genetics, and Heart Disease Institute. She has extensive clinical experience in cardiovascular nursing and involvement with research and clinical studies. PRIMA HEART has proudly teamed with a select group of outstanding physicians to provide the most comprehensive care possible. Our partners include consulting cardiologists in the areas of cardiac MRI and electrophysiology as well as consulting physicians specializing in internal medicine, gynecology, osteoporosis, orthopedics and bariatric medicine/surgery.